Stay organized in the new year with a customizable new calendar. Download and print one (or more) of our FREE stylish templates. 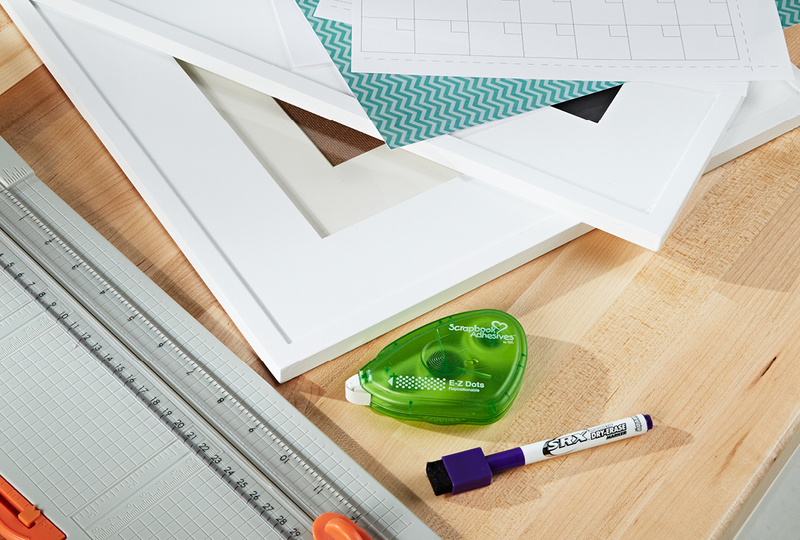 Get a jump start on your New Year's resolution to stay organized! Make this easy DIY calendar to help you stay on top of you schedule. 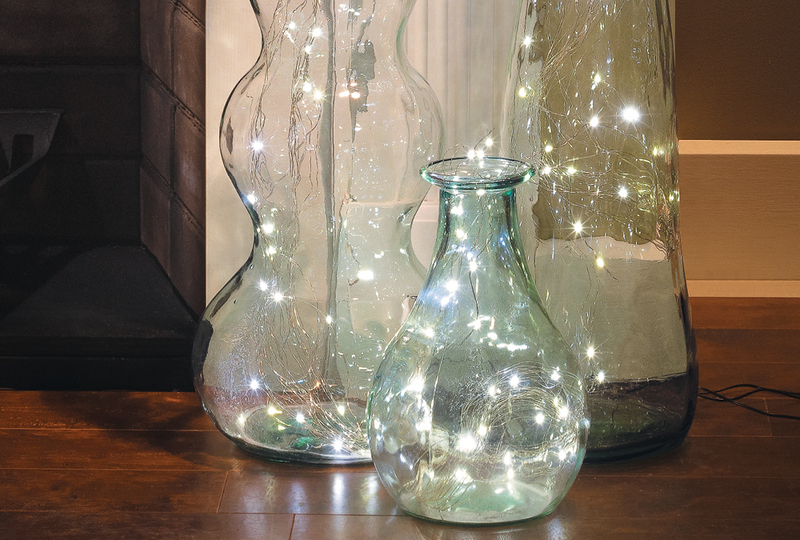 Glass containers filled with twinkling white "fairy lights" are ideal for illuminating a space around the holidays. And once you have the supplies, they only take a moment to make! Arranging shelves is a task that can be more difficult than it looks. 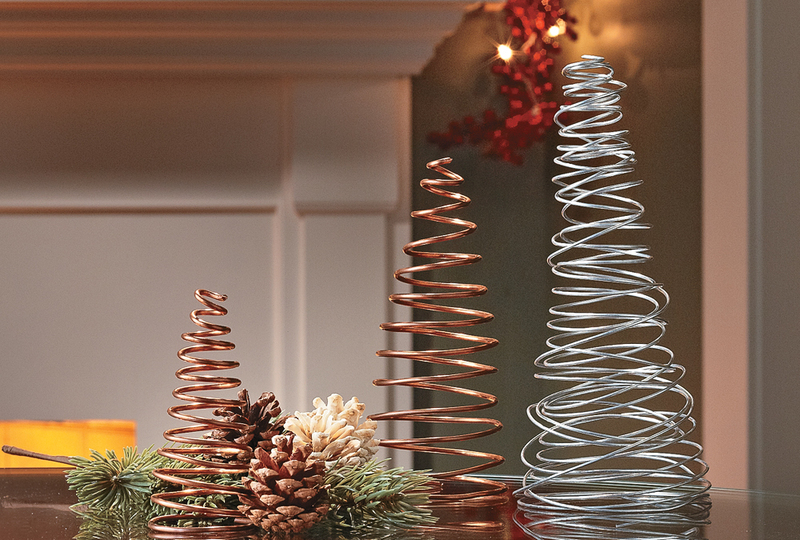 We'll show you three ways to create functional arrangements that look effortless. 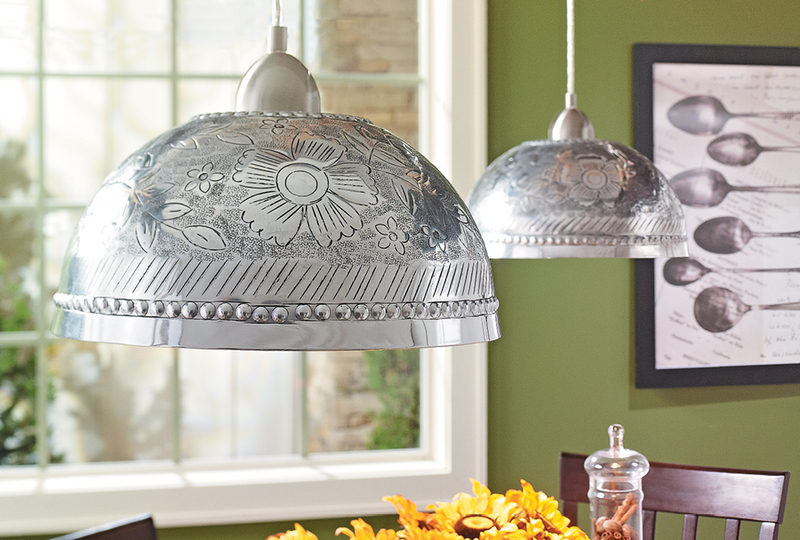 Get inspired by some of our DIY pendant lights! 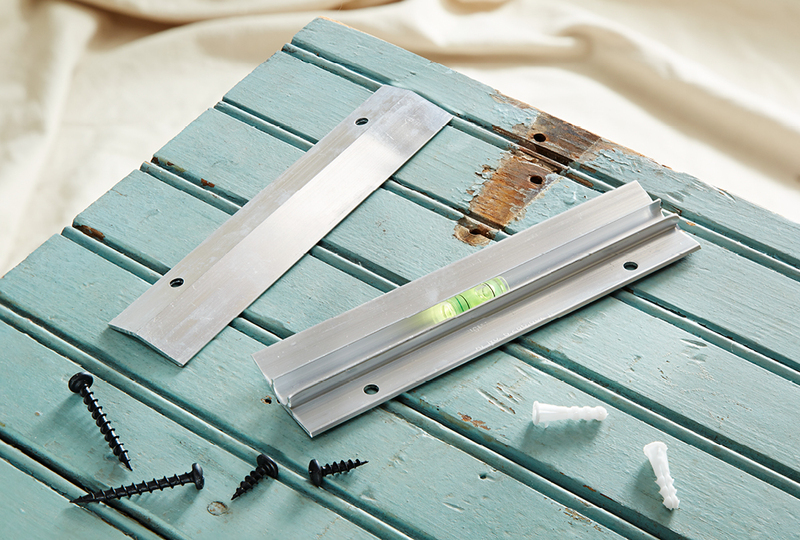 We've made a list of 10 items that you can use to make your own pendant light fixtures. 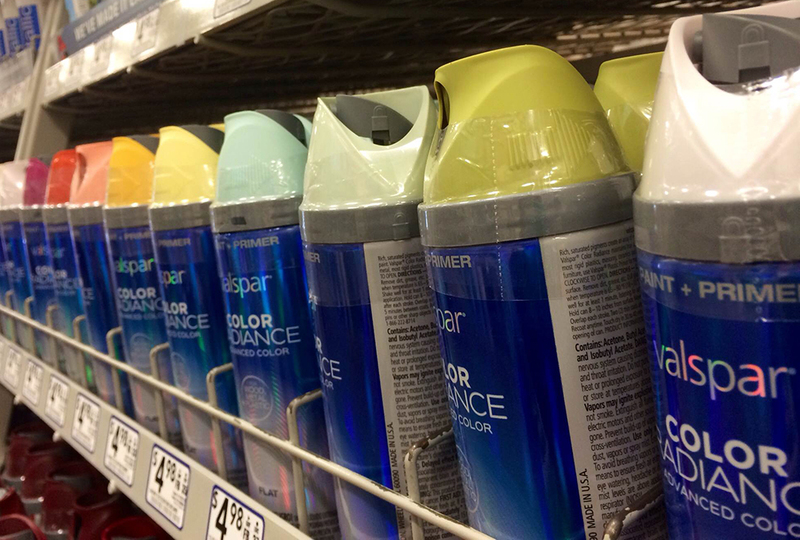 Add fun patterns to your next painting project with this great new product! We'll give you the rundown on getting started, plus show you how we used it! 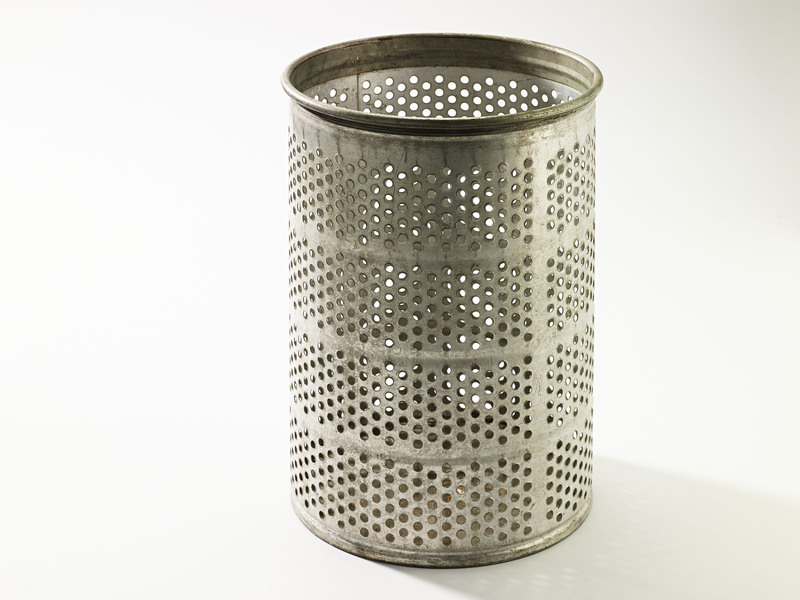 You can spot at least a few salvaged items in most My Home My Style sets. 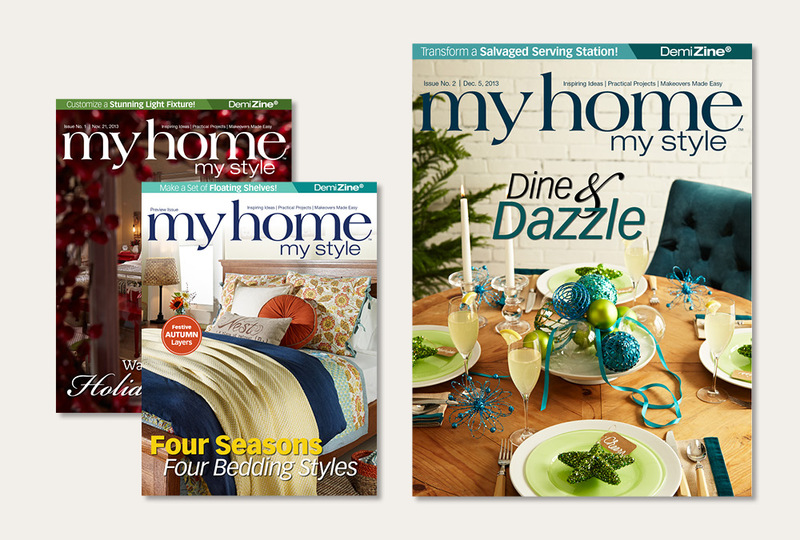 Get the inside scoop — plus our top tips — on finding these beautiful cast-offs. 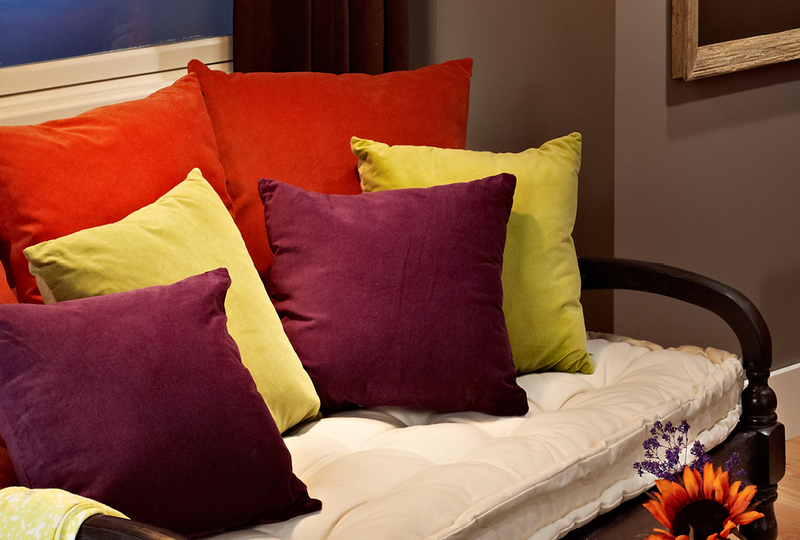 Bring a luxurious look to your home with velvet. Not only is it one of the most regal materials out there, it's incredibly soft, too — great for furniture and accessories alike. 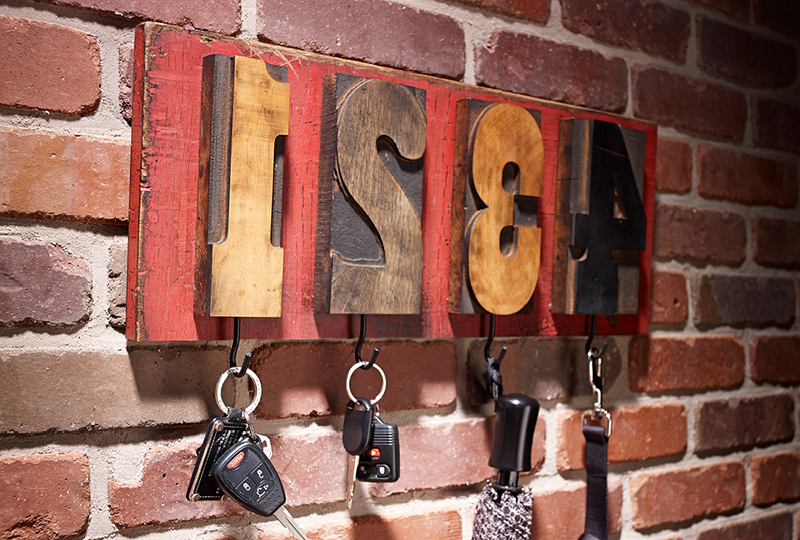 Key hooks help you stay organized, but that doesn't mean they can't have style. Turn unexpected objects, like letterpress blocks, into functional hooks. No matter how beautiful your table setting, it won't be complete until you fill the glasses. 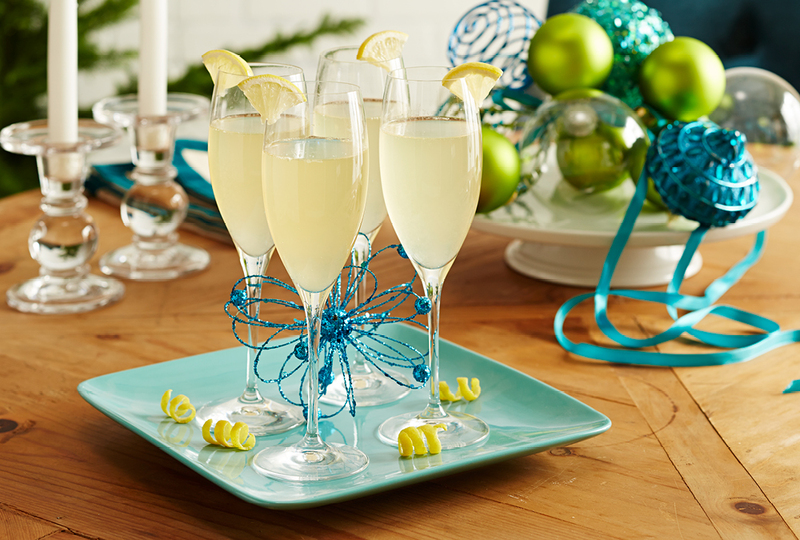 This delicious cocktail recipe will get everyone in the holiday spirit. If you simply don't have room in your home for a Christmas tree — or you want to try something different this holiday season — build and trim a tree like this! 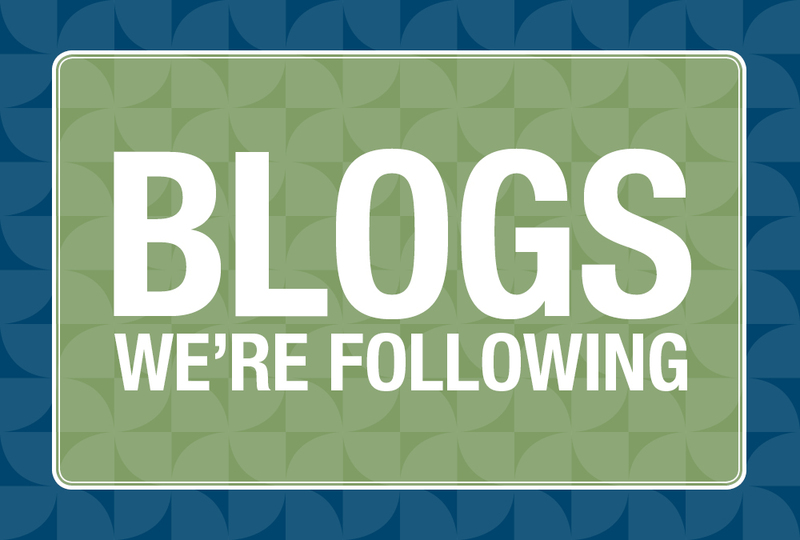 Blogs are a great way to find inspiration and we love seeing what our favorite bloggers are up to. 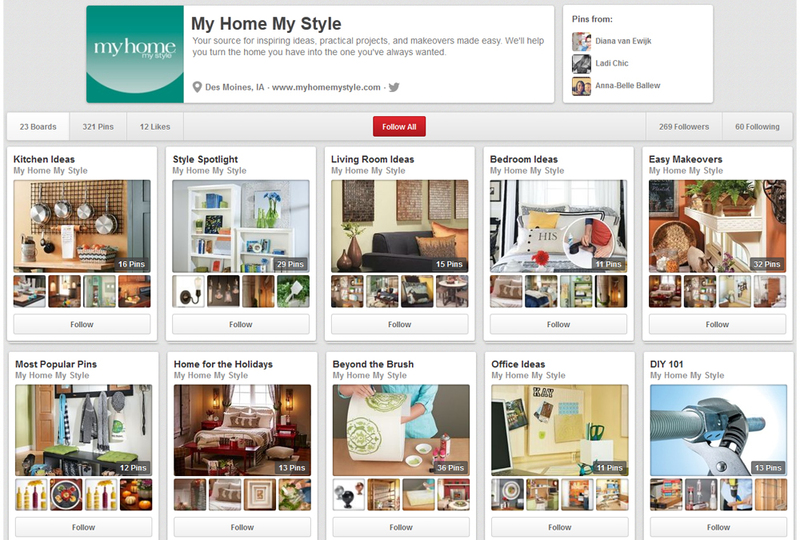 Here's a list of our top picks — we're sure you'll love them too! 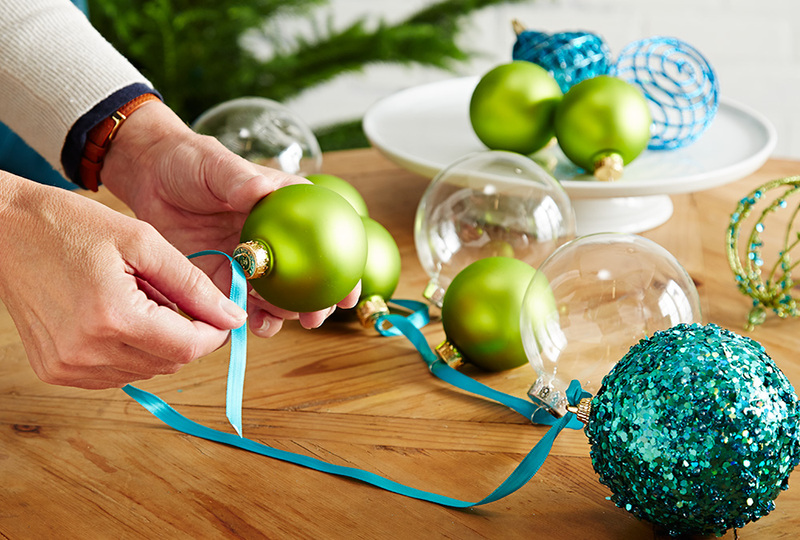 Everyone knows to pay attention to things like form, color, and pattern when decorating. Don't forget about texture! 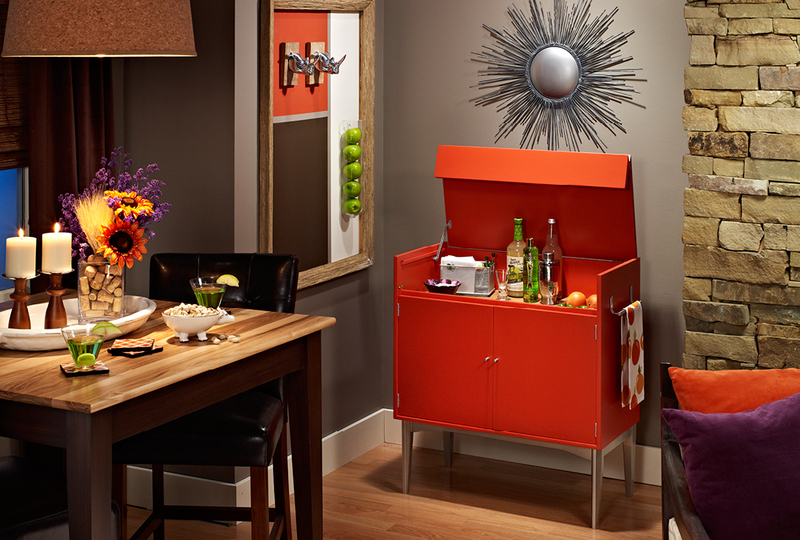 It has a huge impact on the overall look of a space. 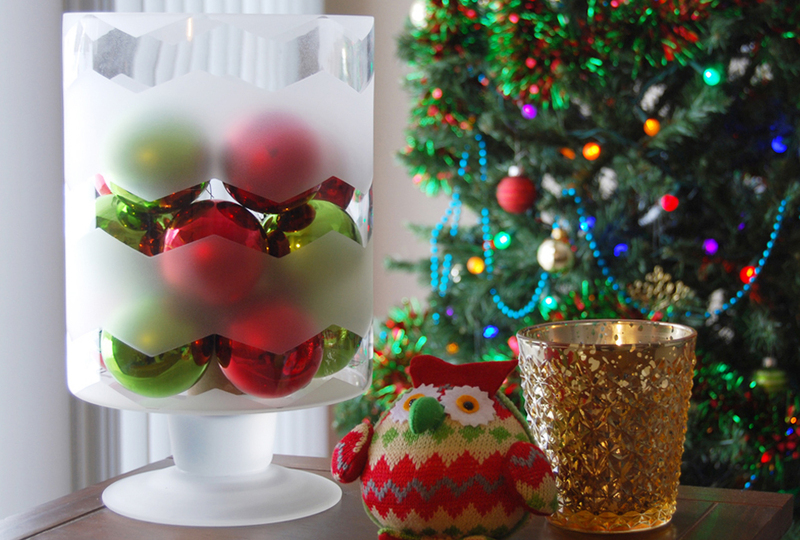 Surprise your holiday guests with a fun and funky decor twist this holiday season. 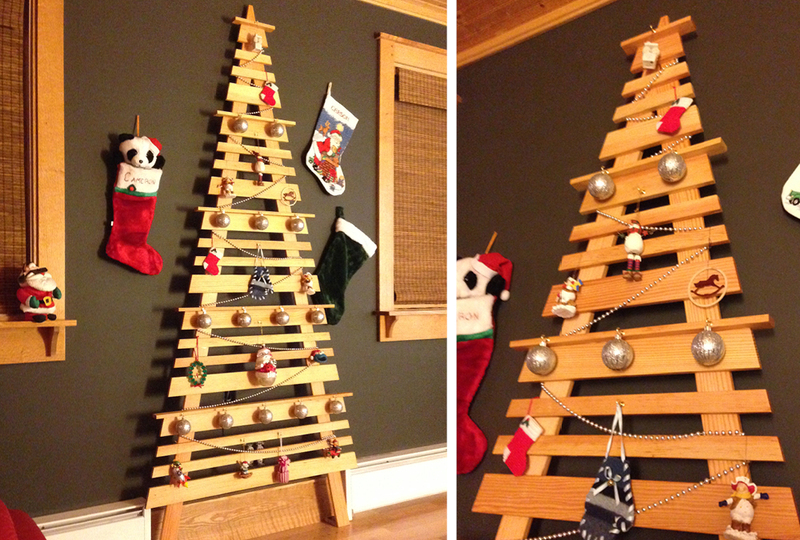 These customizable little trees are easy to make and only require a few supplies! 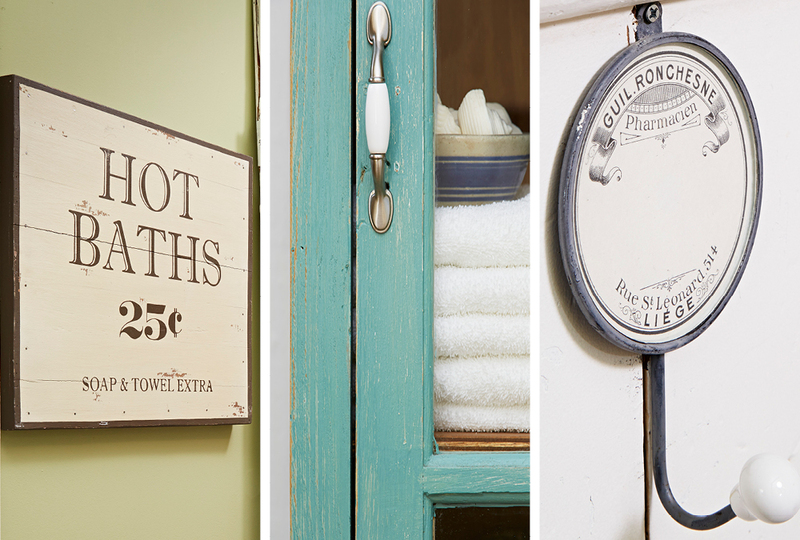 Give your bathroom a brand new look while channeling old-fashioned style. 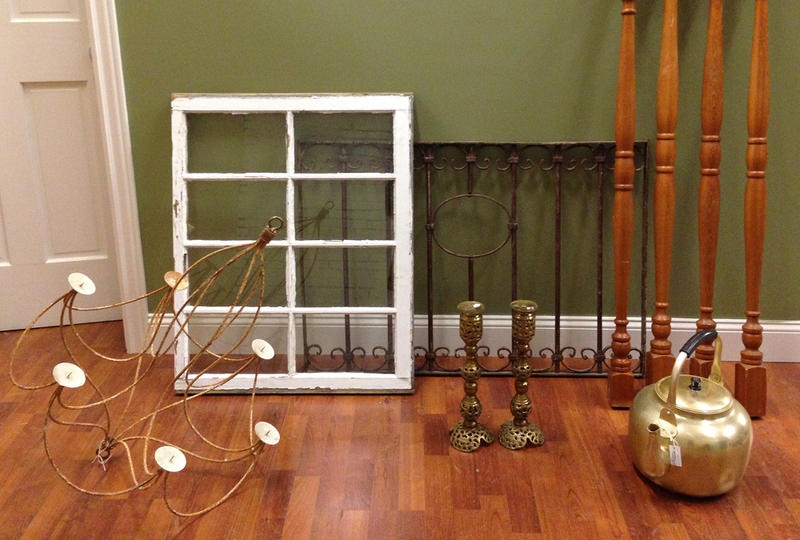 Use a mixture of salvaged pieces and vintage-looking items. Cast your vote! After a day at the salvage market, we found this piece of farming equipment. What kind of DIY project do you think we turned it into? 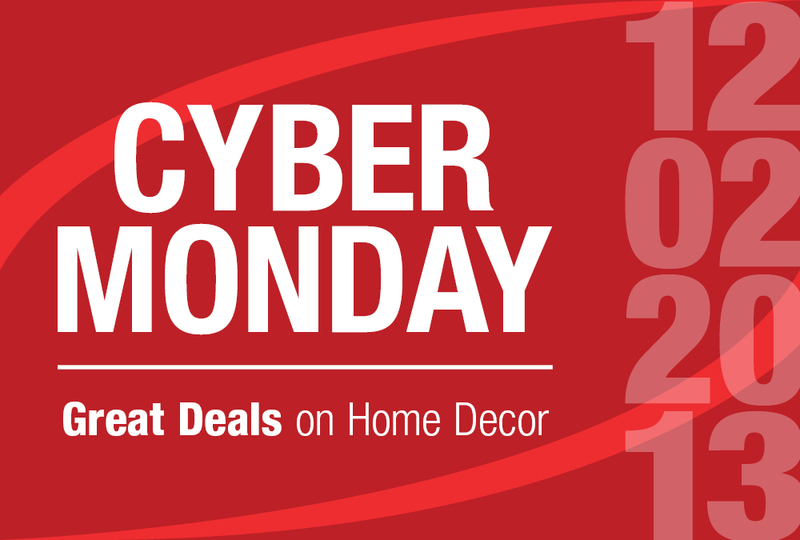 Searching for Cyber Monday deals? We've rounded up some of the best online deals from places you love. 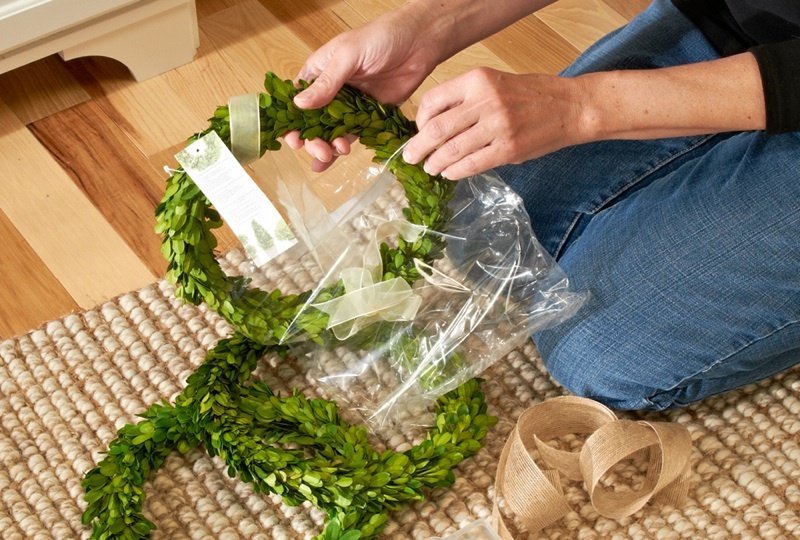 Go green this holiday season with Boxwood wreaths and plants. With short-term or long-term options available, boxwood plants are sure to be a favorite!